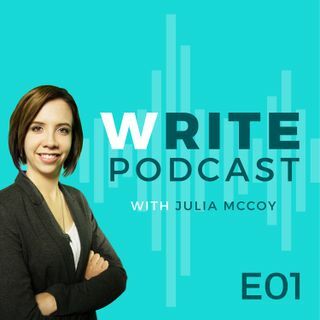 In Julia's introductory episode, she shares her entire story of how she went from McDonald's and failing nursing school to turning her life around and discovering her true passion in writing, which she successfully turned into a self-taught, online career. Julia shares how she started out in SEO content writing, how Google influenced the early Internet marketing days and what Google's standards for good content are today. Follow Julia's Write Blog at: ... See More expresswriters.com/blog. See more podcast details: expresswriters.com/writepodcast.